← Angies Boomchickapop Popcorn Lightly Sweet, so GOOD! DRY Soda is anything but dry and is fantastic! Summer is here and I’ve been looking for a refreshing beverage that is 1.low in sugar and 2.tasty 3.could serve as a mixer with vodka, etc. Here it is! 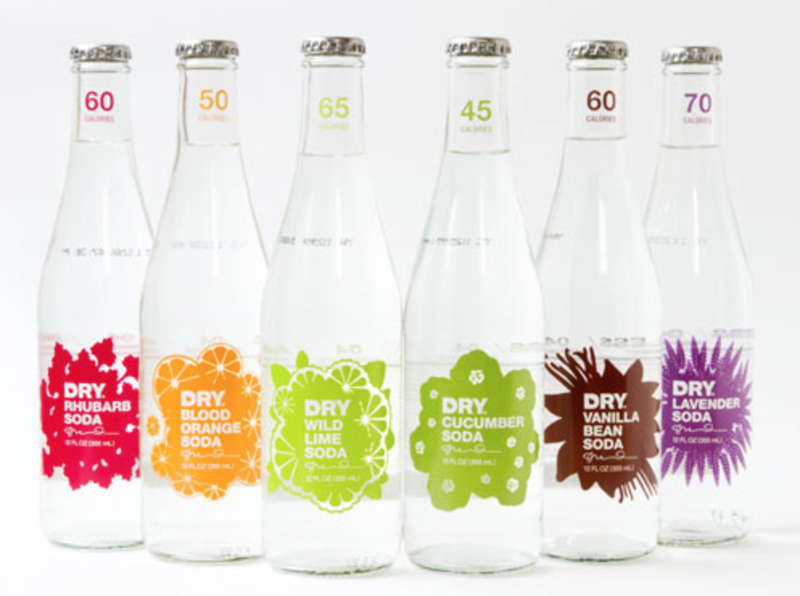 DRY Soda makes flavored seltzer water for adults. It’s all natural with only 4 ingredients! It comes from Seattle and the company is committed to helping small farmers and producers and giving back to those communities. It comes in multiple flavors: Blood Orange, Ginger, Vanilla Bean, Apple, Cherry, Rhubarb(! ), Lavender, Juniper Berry, Cucumber, Wild Lime, and Pear. Not all flavors are available at all retailers. I have tried the Cucumber and it’s perfect on a warm day, and might be great mixed with a little gin. The blood orange is just a hint bitter and very refreshing and the Vanilla is like a cream soda without all of the sugar. It takes me back to grade school field trips because Cream Soda was what I would bring with my sack lunch. The sodas come in bottles and cans, and cost about $1.25 each and they are truly worth the cost. Visit their web site for all of the info. I will be posting cocktails made with these soon. Here’s a link to DRY’s cocktail recipes. Posted in Beverages, Childhood memories, Fruity, Organic, references, recipes and tagged cocktails, Cream Soda, DRY, DRY Soda, local food, local food producers, refreshing beverage. Bookmark the permalink. They are as good inside as out! Thanks!